It is essential to carry out regular gutter maintenance, as leaving serious problems unnoticed can cause severe long term damage to your commercial or industrial property. 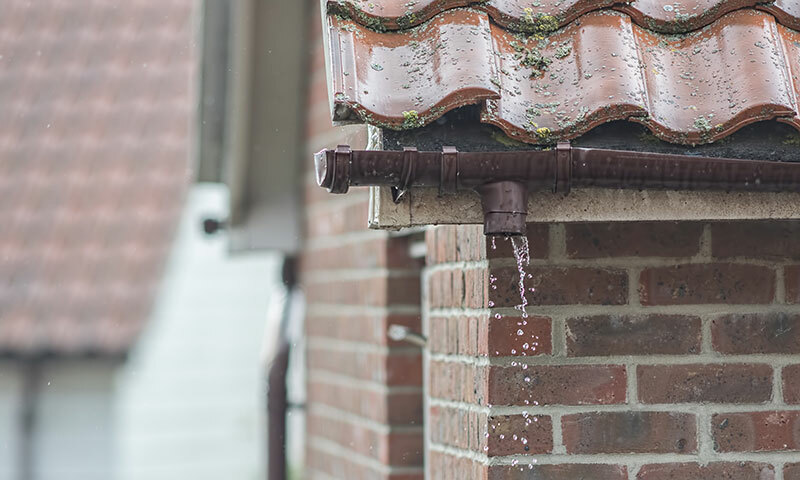 As emergencies can occur and develop quickly, ensuring that you have a reliable gutter repair contract can save you time and money long term by helping to avoid any serious damage to your property. Luckily, we’re here to guide you through our process of carrying out emergency gutter repairs and gutter maintenance. Obviously, when it comes to an emergency, it is vital that you take immediate action to ensure that no further damage is caused to your property. While it may be tempting to try and carry out gutter maintenance yourself, we recommend that you don’t do this as you may end up clogging or damaging your gutters further, which can cause irreparable damage. You also run the risk of harming yourself or others if you are not fully qualified to carry out gutter repairs. By investing in a gutter repair contract, you can rest assured that the process is in the hands of professionals, and that your gutter maintenance is being carried out as quickly and effectively as possible. At UK Gutter Maintenance, we adhere to a strict process when providing emergency gutter repairs for our customers. All works are allocated a project manager and are carried out by our experienced two-man teams, fully qualified and employed by us. Our emergency callout teams are qualified to operate a Mobile Elevated Working Platform (or MEWP), which enables them to evaluate the damage and advise how best to proceed quickly. We also cooperate and communicate openly with you to offer you the most efficient and economically viable gutter repair service possible. We pride ourselves on speed, reliability and practical on-site problem-solving in order to save you time and money. When it comes to an emergency gutter repair callout, we aim to react and respond to the needs of our clients within 24 hours. From here, our in-house health and safety manager will oversee every job to ensure that safe working practices are adhered to at all times. All equipment that we use for emergency gutter repairs and gutter maintenance services are registered prior to use and tagged as necessary. If your commercial or industrial property is at serious risk as a result of blocked or damaged gutters, your best course of action is to enlist the help of a gutter maintenance specialist to protect your property long term.